We’ve got another sweet Blueprint Pair love story for you to brighten up your Thursday. Though they met in high school, Lauren and Daniel didn’t fall in love until years later during a reunion. Fast forward one year, and they are planning a beautiful day and committed life together. Keep reading for some beautiful photos and sound advice for their fellow betrothed couples. How did you two meet? What did you do for your first date? Daniel and I met doing high school theatre together. Our paths rarely crossed until several years later when a group of our college-aged alumni friends got together to put on a reunion show. During those rehearsals, something just clicked. We instantly became friends in a way we never had before and I constantly admired his talent, joyful disposition and — of course — his good looks! The day after performing our show, he suggested we grab coffee sometime. And you know what? It was the best coffee ever. 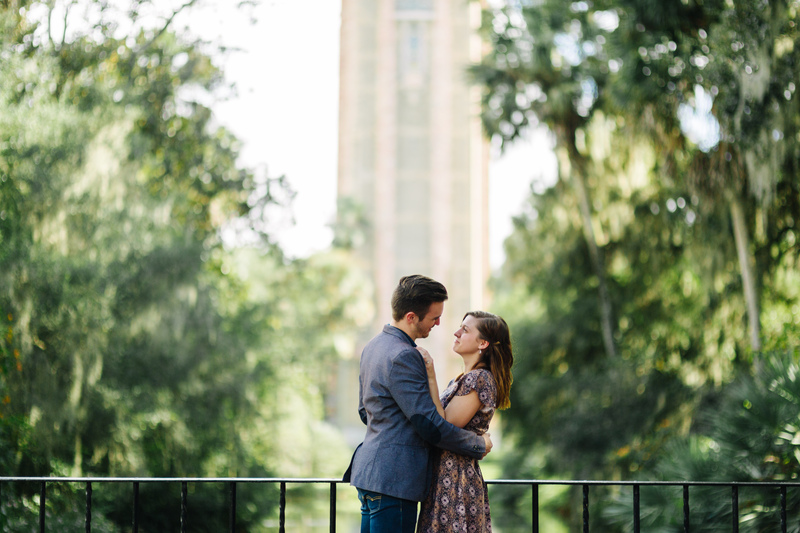 A few weeks after we first started dating, Daniel took me to Bok Tower Gardens in Lake Wales, FL. It’s a beautiful, historical park complete with a gorgeous bell tower, orange groves and breathtaking view of the state. Unbeknownst to me, Daniel decided that same day that when he proposed to me, that is where he would do it. Daniel got down on one knee and asked me if I’d be his wife. I immediately burst into tears. Then I laughed, because Daniel was accidentally holding the ring box upside down! 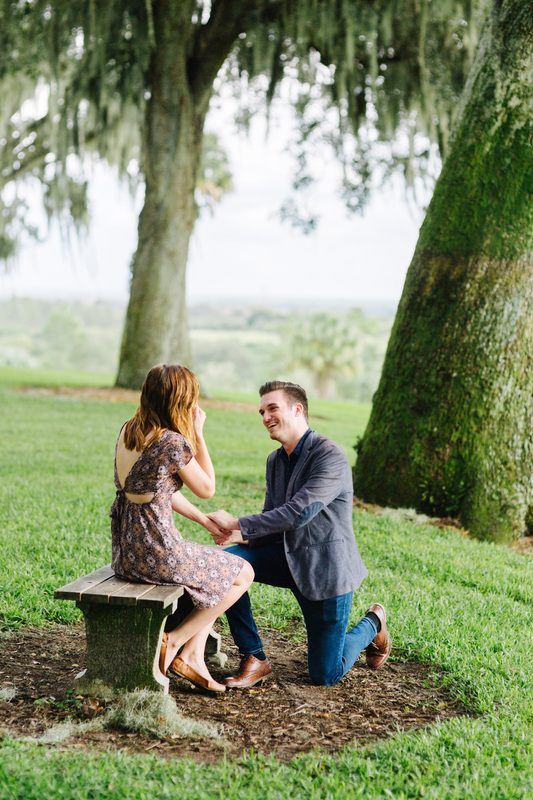 We giggled together and he wiped my tears as I exclaimed “yes,” more sure of that answer than I’ve ever been of anything in my life. We’d love to know a little about your wedding. Why did you choose Blueprint Registry? We found Blueprint Registry on Pinterest amongst my millions of wedding planning pins. The thing that captivated us most about the site is how user-friendly and clean it is. I like how everything is laid out like a blueprint, making it easy to see what items we need for each room of our future home together. I also like how you can compile your own personal wish list, bringing items from various websites together to build a registry unique to you and your spouse. Which gift that you received is your favorite? I don’t have just one item that I’m most excited to receive. I’m looking forward to the whole kit and kaboodle! Daniel and I have similar taste in home decor, so I’m excited to receive the gifts we’ve requested specifically for each room. We have a grey, red, black and white color scheme for our kitchen. We also have a grey, deep brown and light blue color scheme for our bathroom. That’s what I’m excited about — getting to build our home with each specific registry item! What’s your favorite Blueprint feature? I love how the website comes with a downloadable “Add Gift From Anywhere” button for your bookmarks bar, allowing you to select items from any online shopping website and add it to your registry with ease. What advice do you have for people using a gift registry? For your registry, think about what you need first, but don’t be afraid to register for things you would just like to have! Daniel and I know that not every guest will drop a large sum of money to buy us a TV, sound system or Netflix subscription, but it never hurts to ask. We like to think about what we picture in our future home and then ask for it. The important thing is to build your registry with no expectations and with full, thankful hearts. 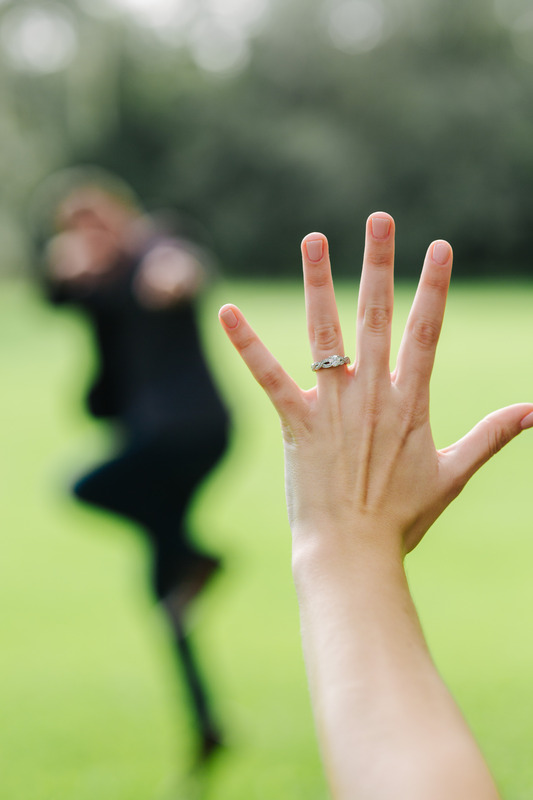 For your wedding as a whole, just don’t sweat the small stuff! Seriously. I hear fellow brides talk about how stressful wedding planning is all the time and to be honest, I don’t relate to that (at least not yet). The fact of the matter is this: I am so unbelievably excited to marry Daniel. I’m focused on building a strong marriage, not a flawless wedding day. Our wedding is meant to be a holy, fun way to celebrate the life we are building together. Of course I want good food, pretty decor and a dress that makes me feel like a princess. However, that is not where my heart dwells. My heart dwells in the beautiful journey Daniel and I are starting together. That’s how I keep myself from turning into a bride-zilla! We’re so excited for this #BlueprintPair! Don’t miss their personalized registry here. Wedding photography by Jake + Katie Photography.